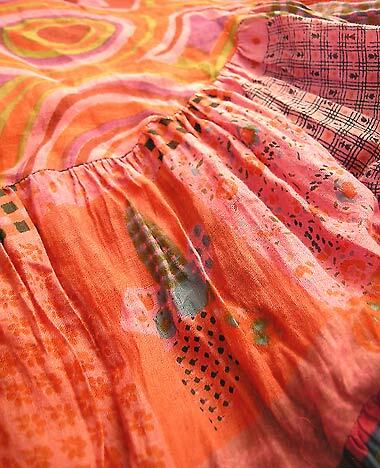 Hippie bohemian layer wrap skirt. Excellent 70s bohemian design, so gorgeous! Beautiful asymmetric design, tie on the waist, inside lined. The fabric is decorated with floral and paisley ornaments. Excellent bohemian design, 70s style, absolutely stylish! Colors: pink.